Give your dog Vitamins and Minerals that are nutritionally potent. Are dog vitamins and minerals really necessary? We all want our dogs to live a long, healthy life, and hate to see the symptoms of old age set in. Joint pain can be a real challenge for older dogs. Good nutrition can help our dogs live a longer, healthier life. But most dogs don’t get the nutrients they need. A dog supplement can fill in those nutritional gaps. Which supplement is best? A few years ago my naturopathic doctor informed me about seaweeds. 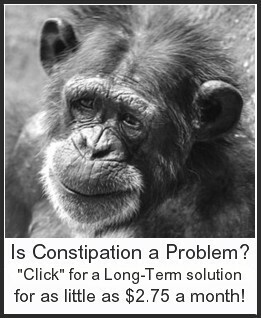 He said that they have an impressive array of nutrients, and eating them can make a major difference in one's health. So my wife and I started taking sea vegetables every day. My doctor was right! My wife and I noticed an almost immediate increase in energy, and within 2 months the joint problem in my wrists and thumbs, which had progressively gotten worse over a seven year period, was practically gone. And it hasn't come back, praise God! We now take Ocean Treasure, which combines 9 amazing seaweeds with powdered Ionic Sea Minerals. I wondered if there was a good way to give seaweed to our animals, but didn't know how to get them eat it. Ocean seaweed grows in THE perfect mineral rich environment, since trace minerals exist in perfect balance in the ocean! So dog vitamins and minerals that are made with seaweed can provide amazing nutrition for our pets. Ninety nine percent of the food raised in the USA has very poor nutrient content, when compared to foods grown just 70 or 80 years ago. One of the reasons for this is that farmers have embraced the use of chemical fertilizers, as opposed to organic fertilizers. Nitrogen, phosphorus and potassium plus a handful of other minerals are the only fertilizers used. The rest of the trace minerals have quite literally disappeared from our soils, and from our foods. Every vitamin and every enzyme keys on a specific mineral. When needed minerals are missing, food becomes far less nutritious. This is why our pets need dog vitamins and minerals to be healthy. Far too many sicknesses and diseases result from a lack of minerals. Where do minerals go that are leached from our soils? They are carried to the ocean. Amazingly enough, the ocean contains a perfect blend of all naturally occurring elemental minerals and trace minerals. If we could only feed our pets food that was raised with sea minerals, our pets would be like SUPER PETS. Unfortunately, only a small percentage of farmers fertilize their crops with sea minerals. Where will our pets get a supplement that truly meets their needs? Fortunately, seaweeds contain a great array of vitamins, minerals, enzymes and phytonutrients, all of which can help a dog live a healthier life. How about mixing a super nutritious seaweed and sea mineral supplement into your dog's (or cat's) food? Open a capsule of Ocean Treasure and mix it into their food. One capsule full is perfect for a 50 lb. dog. for pets that weigh less, divide the powder in a capsule into a number of days, according to their weight. This dog vitamins and minerals supplement offers ingredients that are uniquely balanced for your pet's needs. Your dog will thank you for it by being more playful and excited! Feed your dog’s cells the most nutritionally potent and mineral rich family of plants on earth: Sea plants is 100% living plant food, and sea minerals, all blended into one product. Zoetech has carefully chosen and blended 9 specific species from over 10,000 sea plant varieties worldwide for their full-light-spectrum nutritional qualities. They contain a good balance of red, green and brown seaweeds, plus powdered, low sodium sea minerals. 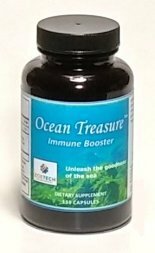 Ocean Treasure, which can be used as a dog vitamins and minerals supplement, provides hundreds of organic compounds and is synthetic-toxin free. Begin feeding your pet the dog vitamins and minerals supplement, taken from what the healthiest peoples on the planet eat - mineral rich sea vegetables. Can you picture your dog full of vim, vigor and vitality? Can you imagine your joy when your older dog starts acting like he did years ago? Good nutrition is such a great thing, and there is no better nutrition than foods grown in the perfect mineral solution – the ocean. Why not buy your dog supplements online, right now? A 135 capsule body is only $44.95!